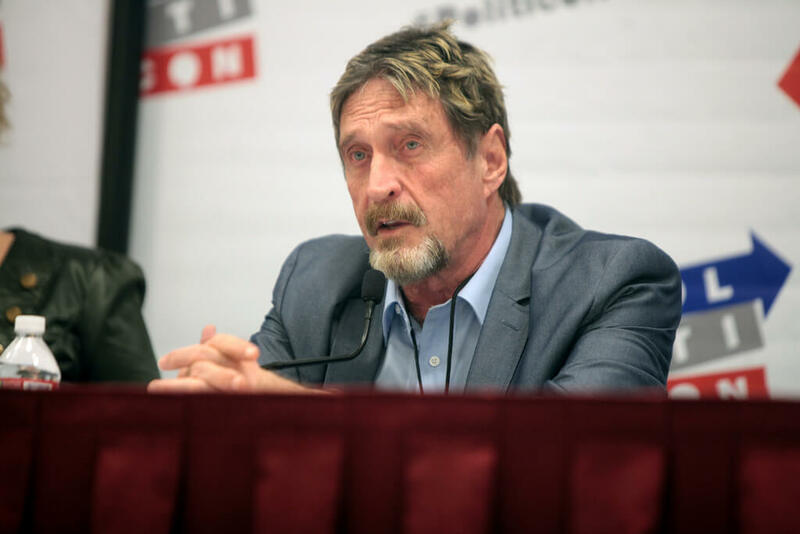 Back in May, ever-controversial John McAfee became the executive chairman and CEO of MGT Capital Investments - a small startup that invests in fantasy sports and mobile games – following its acquisition of his D-Vasive antispy software firm. One of his first moves was to rename the company after himself, but it seems Intel isn’t happy with this idea, and now the situation appears to be heading for the courts. So why can’t McAfee use his own name? According to recently filed documents in the Manhattan federal court, Intel had threatened to take legal action over the change back in June as it allegedly infringes on the “McAfee” trademark that the chipmaker owns. McAfee and MGT filed a lawsuit against Intel on Friday, citing an “Asset Acquisition Agreement” from 1991, back when McAfee sold his assets to the antivirus company. They claim it proves he still has the right to use his name. Intel confirmed in 2014 that it planned to start phasing out the McAfee brand in favor of “Intel Security,” another factor McAfee says should be taken into consideration.